After many test and during our design process we discovery a weak point on 180CFX Plastic Tail Boom Support. Self-tapping screw supposed to lock the plastic support, easy get strip after few crash services. From that discovery we open different design solution options and the CNC Clamp we offer here are the simply easy fix. Our Clamp surround the Plastic Support , there were really need to lock. We also introduce and optional Lock Pin System for who like us want the tail solid as rock. A drill tip is supported on the package and step by step manual will guide on the final assembly. One more time Lynx introduce simplicity and efficacy upgrade for your Heli. We are pilots, and we know what and heli need. 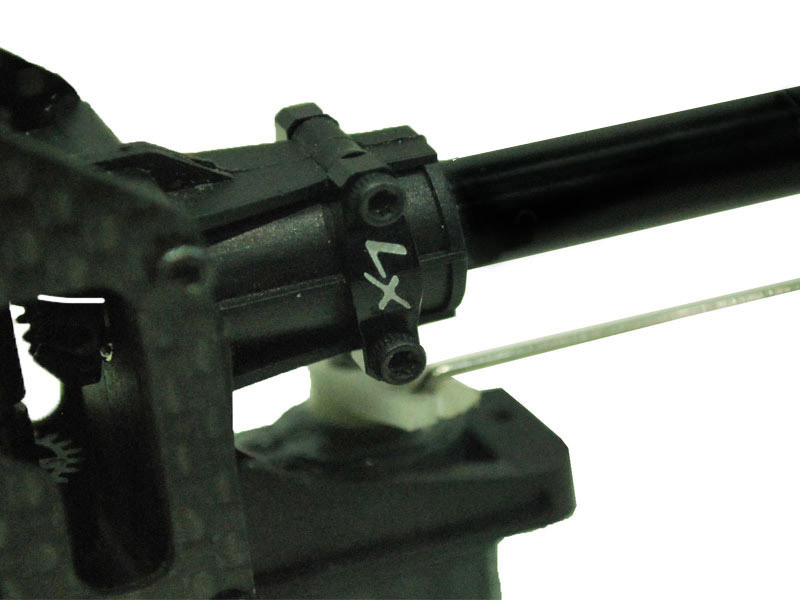 - Direct Upgrade for the standard 180CFX Tail Boom Mount. - Easy and smart clamp and lock system of your tail boom. 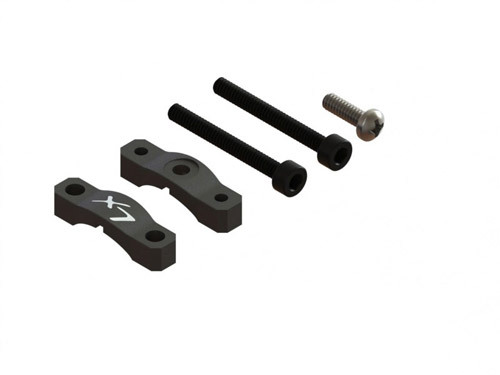 - Optional Lock Pin, for ultimate precise lock. - No more boom in-fly move / torsion. - Hardware and Drill Tip Toll for easy and supported assembly.